This 30-minute short joins STILL TOMORROW and LONG STRANGE TRIP in having an excellent sound design. 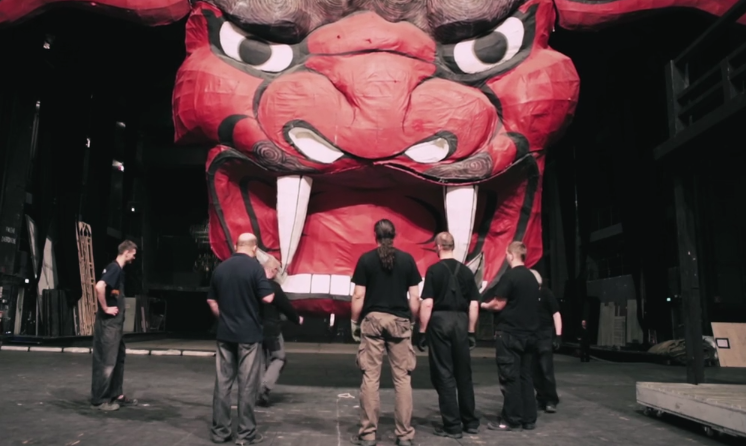 Whether it’s the echoes through the rafters, or the clamor of the orchestra practicing, or the bustle of assemblers, upholsterers, and prop masters getting the sets for in place, everything audibly pops in Sławomir Batyra’s backstage breakdown of the rehearsals for Mariusz Trelinski’s production of Giacomo Puccini’s “Madama Butterfly” at The Grand Theater (Polish name: Wielki Teatr) in Warsaw. There is no voice-over narrator, no interview sound bites, just a series of shots of people doing their jobs in seemingly every nook and cranny of the largest opera theatre in the world with only random voices giving instructions like “Fishermen, to the boats please.” Made up of a number of visually pleasurable shots that match its immersive sound, Batyra film is a wonderfully artful tour of a magnificent venue. Post note: THE GREAT THEATER got an honorable mention in the Full Frame Jury Award for Best Short category. ONE OCTOBER (Dir. Rachel Shuman, 2017) “New York is never the same city for more than a dozen years altogether,” a quote credited to Harper’s Monthly from 1856 starts off this film shot in New York City during October 2008, in the weeks leading up to the historic election of Barack Obama. The film follows WFMU radio host Clay Pigeon around as he interviews random people on the streets, capturing the flavor of that memorable season when the world economy faced its most dangerous crisis since the Great Depression of the 1930s. Cinematographer David Sampliner’s camera also captures the Big Apple beautifully in vivid shots, whether of protesters, parades, street musicians, or bird watchers in Central Park, that are interspersed throughout the film. This is enhanced by Paul Brill’s lively score performed by cellist Dave Eggar. But it’s the people that Pigeon (real name Kacy Ross) talks to that will be the film’s biggest takeaway, like the old coot who says, “listen, the white guys have been in charge for so long, give the black guys a chance, they can’t do worse than we did,” or the young mother who complains about the gentrification of Harlem, “five more years I won’t even be living here, this won’t look like this no more.” The one hour and seven minute ONE OCTOBER is a fine time capsule as is, but I could’ve gone for some more New Yorker straight talk. 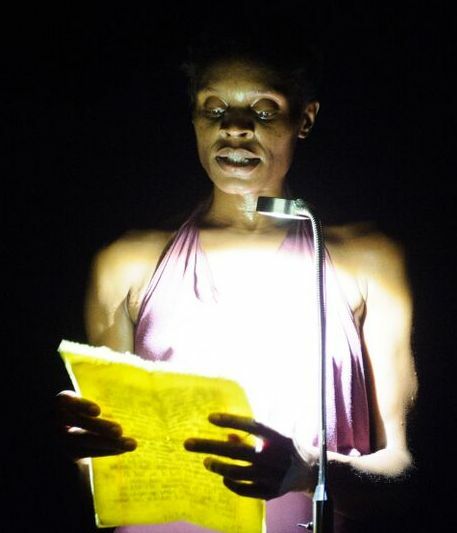 Rossi (PAGE ONE: INSIDE THE NEW YORK TIMES) films Okpokwasili as she takes her show on tour to small theaters in Milwaukee, Chicago, and Atlanta. Alongside the ample samplings from the show, which depicts the dialogue between two 11-year-old black girls growing up in the Bronx, we also get a glimpse of her life offstage, and with her family. The audience reaction shots are priceless as the performer’s material, demeanor, and especially her chaotic, seizure-like dancing obviously pushes many buttons. Okpokwasili, who calls her work “memories from a rupture that's never been sutured,” is an engaging presence so there’s a lot of entertainment value in watching her talk with students, discuss the recent remake of “Roots” with her white husband (Peter Born), and play with her daughter, all elements that give the intense performance art segments a great grounding. 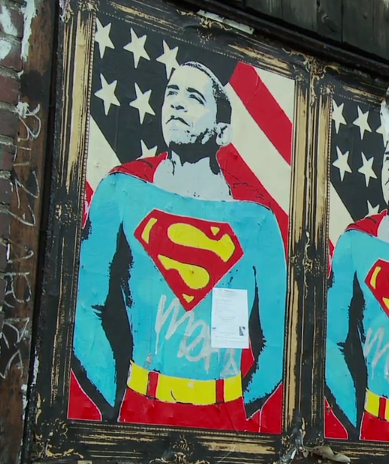 I’d be remiss if not to mention how well-timed and funny the woman’s work can be as well. 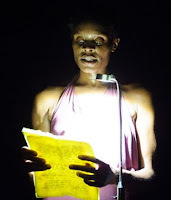 Though what we see of Okpokwasili’s show leans towards darkness, there are cracks where the light gets in. I’d like to see the entire performance some day. 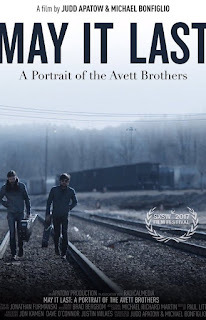 MAY IT LAST: A PORTRAIT OF THE AVETT BROTHERS (Dirs. Judd Apatow & Michael Bonfiglio, 2017) I was a bit distracted as this film began, as the legendary D.A. Pennebaker (DONT LOOK BACK, MONTEREY POP, ZIGGY STARDUST AND THE SPIDERS FROM MARS, THE WAR ROOM, do I need to go on?) sat down next to me in Fletcher Hall ten minutes before the film began. Pennebaker, and his wife and film-making partner Chris Hegedus are regulars at Full Frame who helped get the festival started so it’s not the first time I’ve been in their presence, but the idea of watching a rock doc sitting next to the guy who invented rock docs was hard to shake. When the doc, which is about the popular North Carolina folk rock band, the Avett Brothers, began and there was footage of the group walking through the hallways of a venue before a show, I couldn’t help but think about how the well worn tropes of following around and filming artists backstage, hanging with them in hotel rooms, and capturing them interacting with fans are all things that the guy to my right did first. But soon into Judd Apatow and Michael Bonfiglio’s film, I was able to focus on the story of a band I basically knew nothing about. 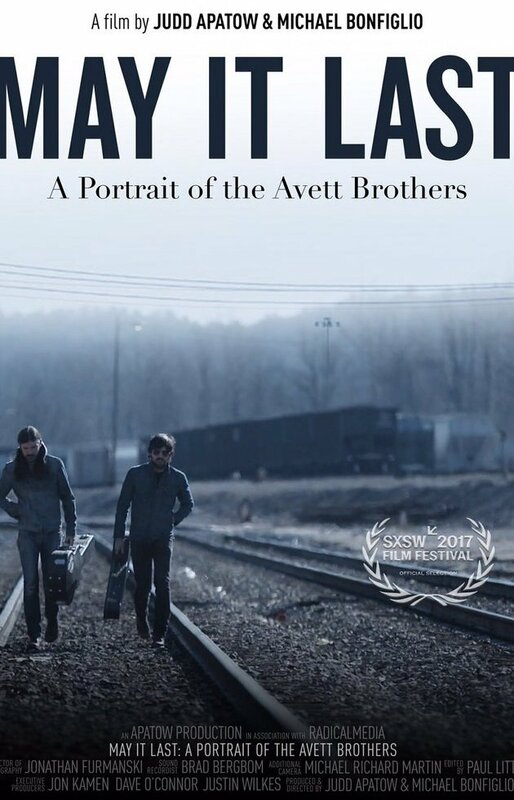 Hailing from Mount Pleasant, N.C., Scott and Seth Avett are depicted as two simple farm boys who get along great together unlike other famous musician brothers like Ray and Dave Davies of the Kinks, or those damn Gallaghers in Oasis. They start off rebelling against the country music of their father’s generation and take to wanting to be Nirvana, but they returned to their roots after a revelatory encounter with bluegrass icon Doc Watson at Merlefest, the musician’s annual traditional-music festival in Wilkesboro, N.C. Speaking of Dylan, the guy who shot famous footage of his legendary 1965 and 1966 tours was right next to me! Sorry, back to the Avett Brothers. Despite having seen them at the Cat’s Cradle in Carrboro back in 2005, I’m not really familiar with much of their music but I enjoyed the concert sequences, and may give them more of a listen as a result of this fine summation of the Avett ethos. The screening was well received by the audience, but the panel Q & A afterwards in which guests Scott Avett, the band’s cellist Joe Kwon, and codirector Michael Bonfiglio came onstage to great applause, was a lovefest with questioners who the band often recognized from their gigs taking them for their music more than asking them questions. 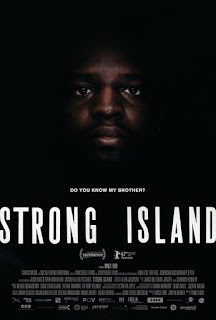 The last film I saw at the fest was Yance Ford’s STRONG ISLAND, which was an encore on Sunday afternoon because it won two awards at Full Frame’s Awards Barbeque at noon: the Charles E. Guggenheim Emerging Artist Award and the Center for Documentary Studies Filmmaker Award. The awards are well deserved as Ford’s film is an impassioned exploration of his brother’s murder by a mechanic in Long Island, New York in 1992. William Ford Jr., 24-year-old black teacher, was going to confront the people at an auto repair shop who weren’t fixing his family’s car after an accident that was actually caused by the same people. William was unarmed, but was shot and killed by .22 caliber rifle fired by Mark Reilly, a white 19-year-old mechanic. Reilly was not indicted by a white judge and an all-white jury for the crime and went free, while the Ford family sat in mourning helplessly by. In extreme close-ups, Ford, pours his heart out about the grief over his brother’s senseless killing, the racist system, and his transgender coming out, while his mother, Barbara, and sister, Lauren, give us their takes on this angering, all too common tragedy. A well made, straight forward, and up close and personal film that wrestles with the wounds from injustice that can never be healed. 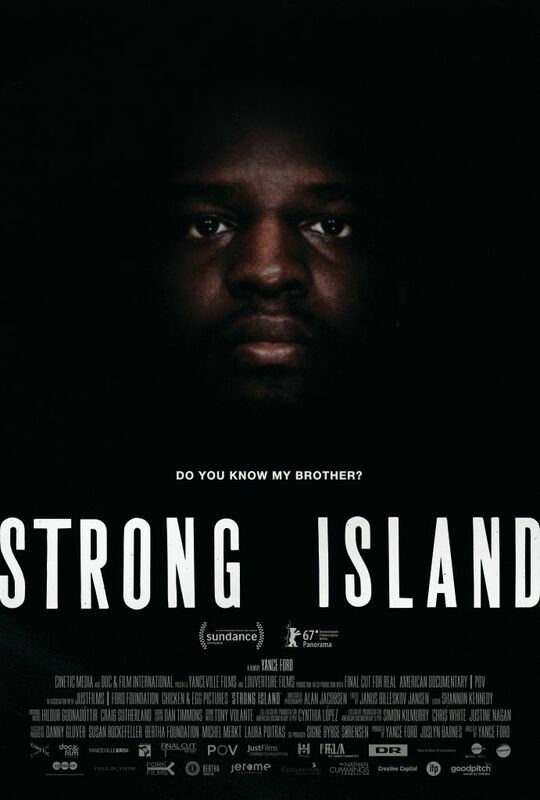 STRONG ISLAND is one of the strongest documentary debuts I’ve ever seen. I probably could’ve come up with a better last line for that review, but I’m tired after four days of docs in Durham so it’ll have to do. So that’s Full Frame 2017! It was one of my favorites of all the years I’ve attended. If you haven’t already, please check out my coverage of Days One, and Two.